What happened at the Atlantic Regional? It was all about Cassidy Lance-McWherter and Emily Bridgers going head to head and fighting their way to each event’s finish line. Ben Smith made a tremendous comeback in Event 5 and 6. This is Ben’s 10th consecutive individual CrossFit Games! Alec Smith was hot on his brothers heals in Event 1. And he didn’t stop there. These brothers mean business! Noah Ohlsen cycled that barbell like no-one was watching. Ethan Helbeig fought hard for his place at the 2018 CrossFit Games. Emily Bridgers had a solid finish to Event 5, but finished strong and on top in Event 3 and 4. John Coltey put in an unbelievable performance, taking out first place in Event 2 and 6. 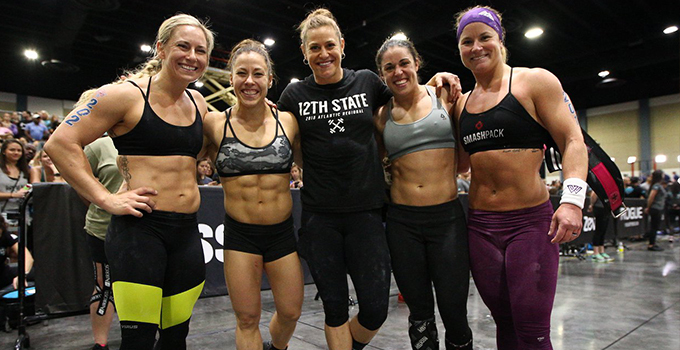 The Dwala Rangers and CrossFit Balance fought it out for a place at Madison.